According to reports on October 24, singer/song-writer Zion.T has has been confirmed as the guest artist at Black Pink's upcoming 1st domestic solo concert, 'Black Pink 2018 Tour - In Your Area'. 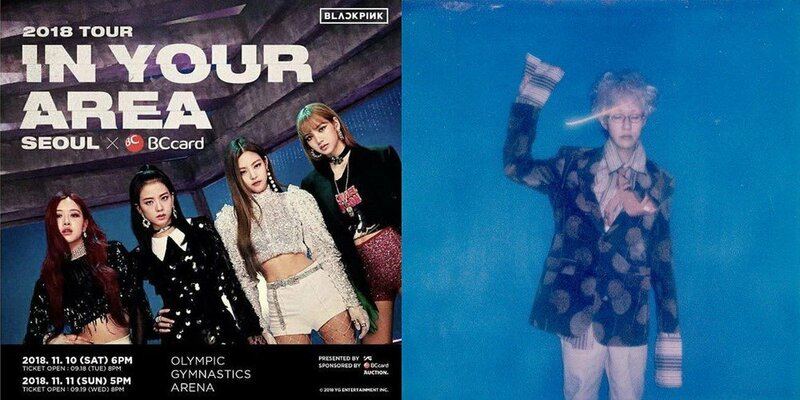 Black Pink's 'In Your Area' concert takes place for a total of 2 days - on November 10 at 6 PM KST and on November 11 at 5 PM KST, at the KSPO Dome (Seoul Olympic Gymnastics Arena). Meanwhile, Zion.T recently made a comeback with "Hello Tutorial" feat. Red Velvet's Seulgi. Who would love to go see Black Pink's 1st Seoul solo concert, with special guest Zion.T? .... Am I the only person that doesn't see this matching. I feel one of the winner members or ikon member would've been a better choice. Zion.T and BP are worlds apart.